This video project was initially born as a website with a most audacious goal: create the go-to online resource for casual horse owners worldwide. Oh, and make sure that the hundreds of topics are well organized. And engaging. No problem, right? The key to meeting the challenge was an early decision to make all of the content video-based. We began with in-depth interviews with renowned horse veterinarian Dr. Steve Allday, touching on a broad array of topics and providing a level of authenticity not found in a tightly scripted narrative. We then went to work editing the interviews into quick episodes on each of nearly 100 topics. The decision to go “video-first” allowed us to move quickly: no need to research, write, edit and get approval for hundreds of pages of copy. Not to mention, consumers today actually prefer video content. And most importantly, video allowed the authority and expertise of Dr. Allday (with the assistance of other team members) to shine through. The best part? We added page transcripts of each video to the site. Why? Well this made it crawlable for search engines, thus powering the site’s SEO position. 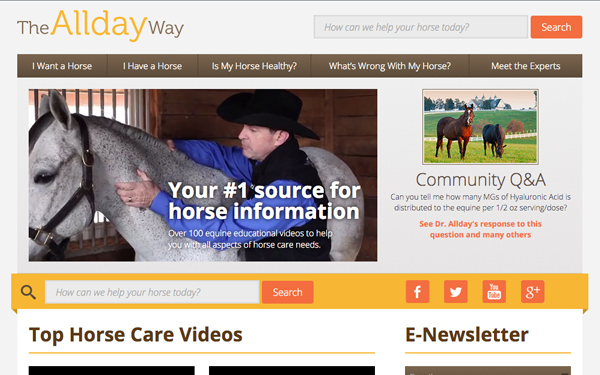 Let’s try it out: Google “Expert Horse Care.” Bet it returns the www.thealldayway.com on the first page. Not bad for an ultra competitive category!  Could video be key to unlocking your next project?